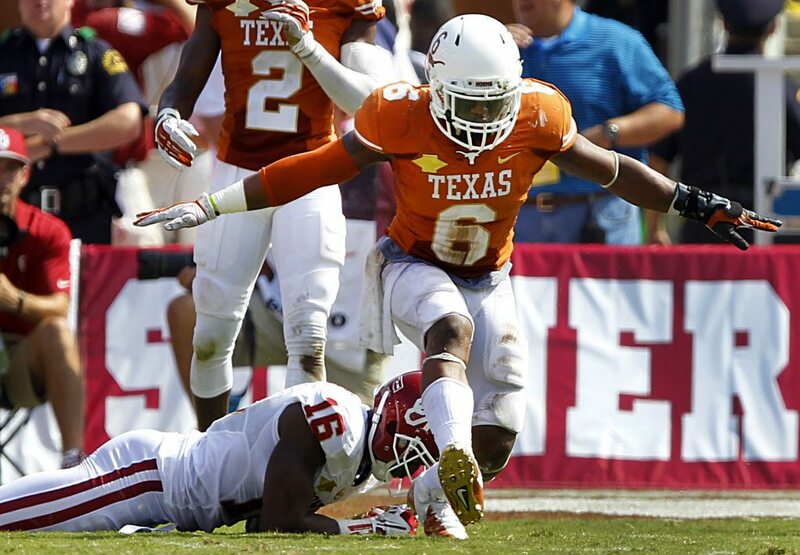 Two key members of the 2014 Texas Longhorns Football defense will be in action Saturday as linebacker Jordan Hicks and cornerback Quandre Diggs are scheduled to suit up for the North team in the Senior Bowl. The annual all-star game, which attracts the top senior talent in the nation, will kickoff at 3 p.m. Central from Ladd-Peebles Stadium in Mobile, Alabama, and air on NFL Network. This past season, Hicks and Diggs helped the Longhorns rank No. 25 in total defense (348.5 yards per game), No. 11 in both passing yards allowed (184.2 pg) and sacks (3.08 pg), and 22nd in third-down conversion defense (35.3 percent). A four-year starter and three-time All-Big 12 selection (2011, 2013, 2014), Diggs ended his career tied for ninth on the UT all-time interceptions list (11) with Mossy Cade (1981-83) and William Graham (1979-81). Diggs' 37 career pass breakups rank are also tied for ninth with Cade on the school's all-time list. This is the 10th-straight year the Longhorns have a representative at the Senior Bowl. There have been multiple participants in eight of those years. Senior Bowl practices air live on NFL Network. The South team practices at 2 p.m. on Wednesday and Thursday, followed by the North squad at 3 p.m. Hicks is wearing No. 53 and Diggs No. 26.